I have only ever dabbled in patchwork and quilting once... and this is the result. Inspiration came from my old work manager, who decided he wanted to make a quilt. After watching my mum quilt, I was surprised that his turned out so well. He decided to buy some fat quarters, cut them up, add some wadding and sew them all together. For a beginner, his quilt was awesome. 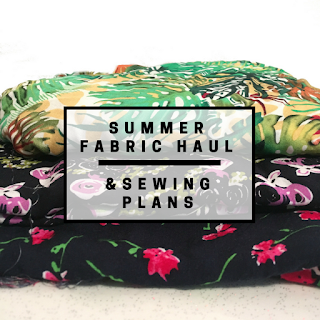 I found myself in my local fabric shop, in awe over some georgous fat quarters, so I bought myself a set in 4 different floral patterns. I cut them all down equally into squares and began to arrange my quilting pattern. It turns out that I'm quite pedantic when it comes to equal numbers in patterns. I finally got the perfect layout of squares and began to sew. Sewing in straight lines is something that I find really difficult, even though I've had years of practice. Nevertheless, I found myself with a small bit of patchwork and it mostly all joined up. The next stages were to make the quilt a bit larger so it covered most of my bed. I had some left over floral fabric from a skirt I once made to start the border. I ended up buying another shade of floral fabric to complete the border. The corners ended up mitred which was unintentional, but my mum said it was something that a lot of pro quilters did - win! And finally, I chose the thickest wadding, some really plain cream cotton for the backing and began to stitch it into a quilt. The quilting only goes around the inside of the border, and I still actually haven't got round to quilting the main part of the patchwork - even though it really needs to be quilted down so the wadding doesn't get mismatched inside. It's finished off with bias binding (bane of my life) and voila! 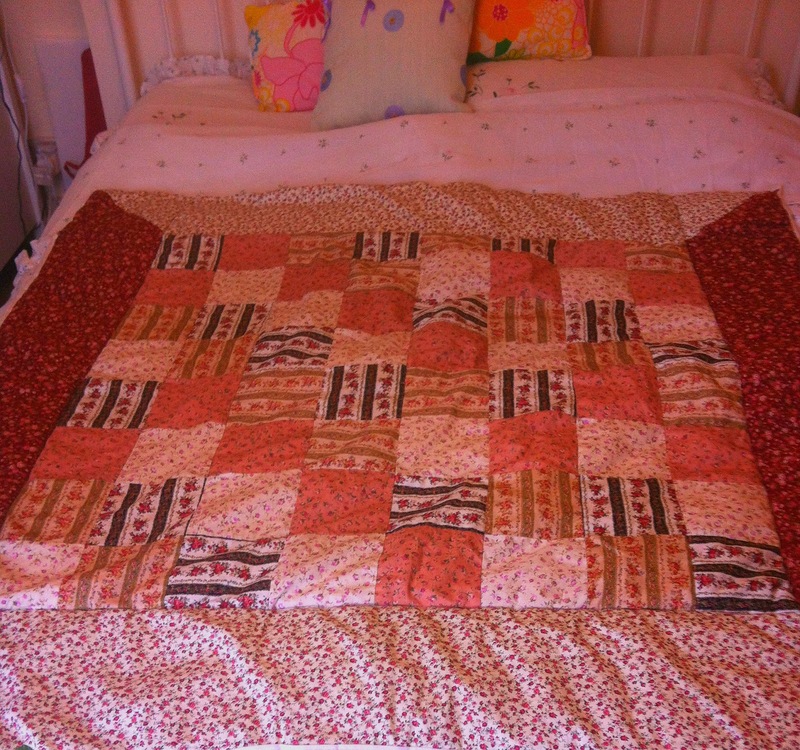 My first patchwork quilt. It's the warmest thing I've ever made, perfect for these cold winter days and I encourage all of you to get some fat quarters and start patchworking.